FACE is deeply concerned following the recent detection of African swine fever (ASF) in two wild boars in the Czech Republic. The infected animals were found in Zlin, 300 km south-east of the capital Prague. It is the first reported case of this problematic disease in Czech Republic. A 10km sanitary perimeter has been established around the infected area, where wild boar hunting is prohibited and monitoring is intensified. Ludwig Willnegger, FACE Secretary General, stated: “This is another major development concerning the spread of ASF in eastern Europe. 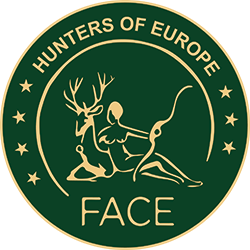 FACE is working with a range of partners to develop best practice information to ensure that hunters play a key role in combatting the spread of this disease. It is paramount that the European Commission and the European Food Safety Authority (EFSA) engage immediately in this fight against this malicious disease!”. Currently, there is no published treatment or vaccination for ASF. Although the disease does not affect humans, it changes all aspects of hunting and wildlife management. This is evident from Latvia, Poland, Lithuania and Estonia where ASF is causing a wide range of problems for farmers, hunters, wildlife managers and the swine industry.